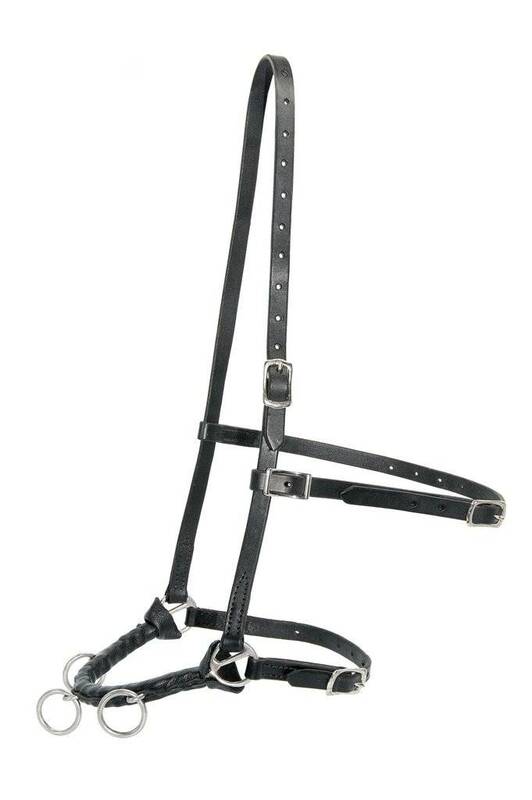 The ideal cavesson for groundwork, work in hand, longeining, and riding according to the Academic Art of Riding and Straightnesstraining. 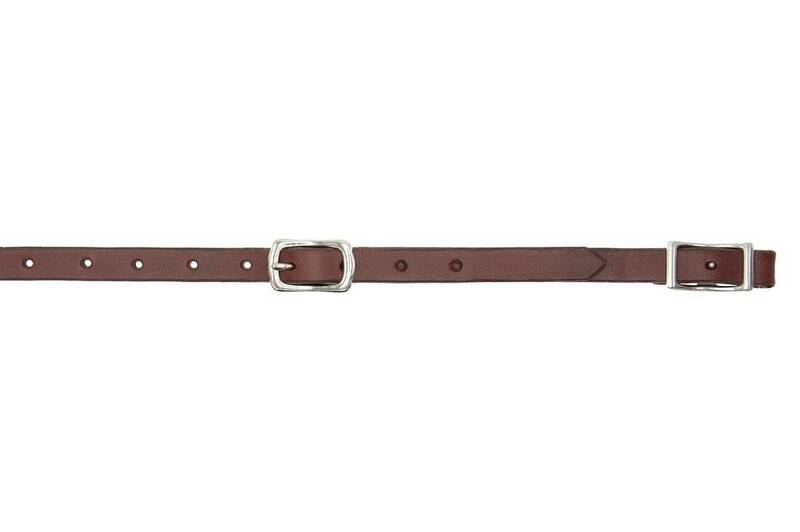 The Cavesson Ecuyer by Deuber & Partner consists of a metal chain in the noseband, wrapped around with soft leather, which shapes perfectly around the nose of the horse. 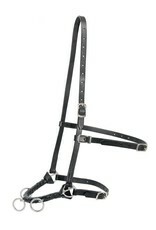 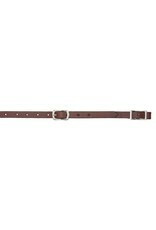 The Ecuyer cavesson is widely adjustable and therefore suitable for many different horses. 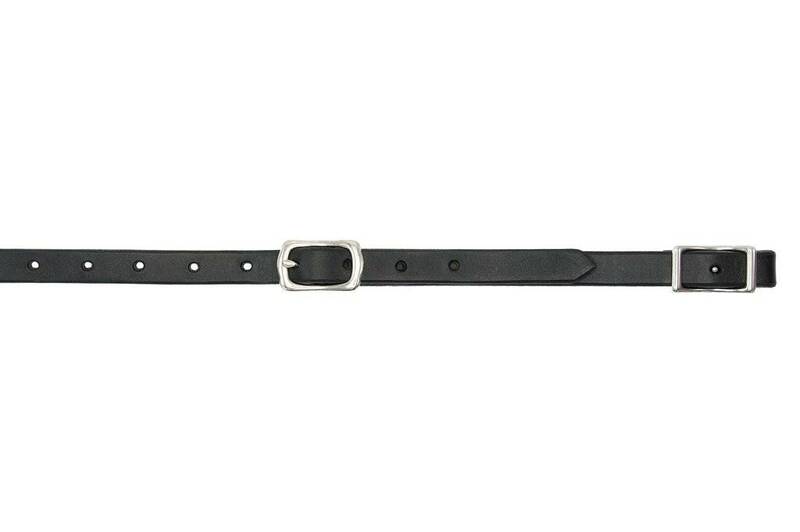 Reins with snap are separated available. 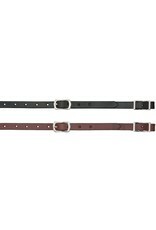 The leather is a natural product, so the colors may differ slightly from the photo. 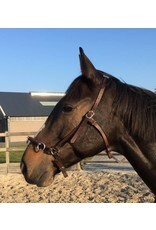 Make sure that the noseband is connected to the horse's head so that shifting is prevented and the cavesson has the right effect. 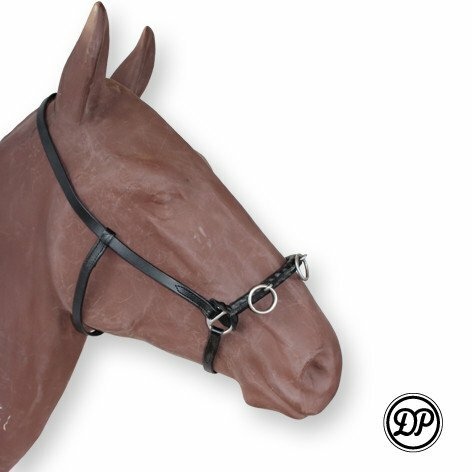 The throat latch is connected to stabilize the cavesson and prevent the cheekpieces from sliding into the eyes. 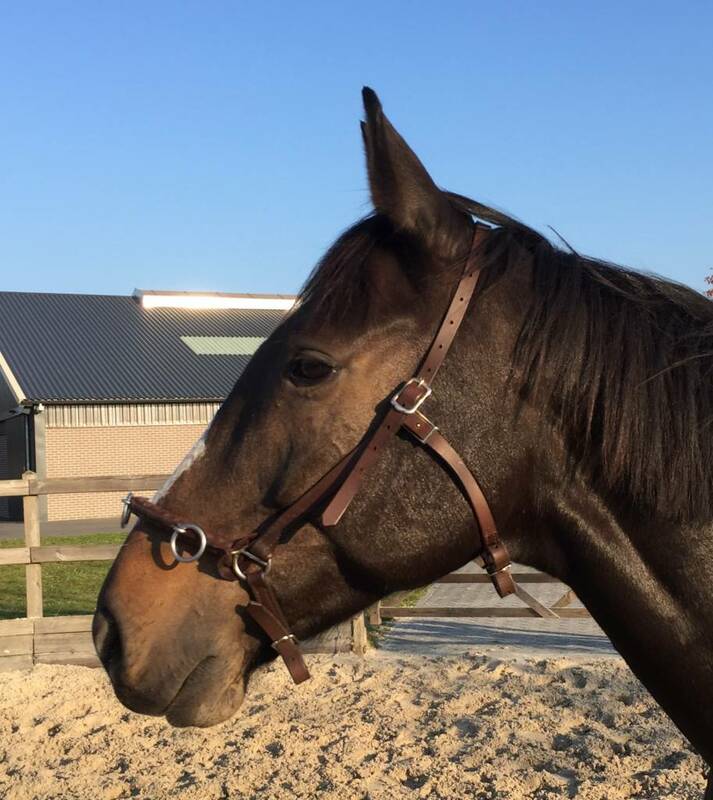 The noseband should never be too low on the nose, that it is blocking the respiratory system, and lying on the fragile nose bone. 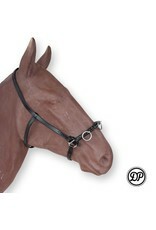 For most horses, the noseband is at the same height as an English bridle, 2-3 finger widths below the cheekbone.